Prison Cell celebrated 68 days ago to his 24090 life days. Finally, that's why he decided to resign as the uppermost judge of Emoji Meaning. He was born in the town of the same name. His family roots also have on the mother's side from the Jupiter. Prison Cell studied jurisprudence at different universities of the galaxy. As an invisible student he was at a university on the planet Earth. He could finish his degree, at least, so free of charge. Because he has stingy roots, he saved a lot of money for his education. In spite of all he had to make at his work also neutral decisions. This was not always easy. Finally, several witnesses were also sponsored by a party. However, this sounded always very plausible. 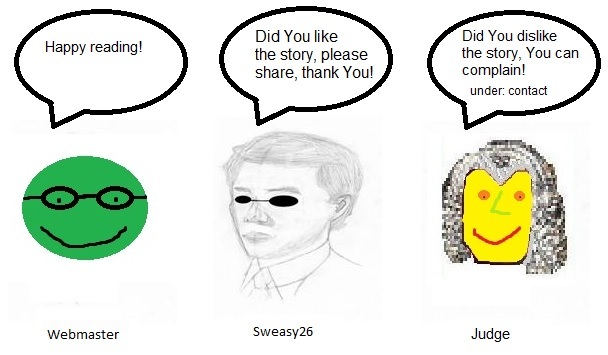 Sweasy26 met the present uppermost judge in Emoji Meaning near a hotel for the followed interview. You have carried out your last procedure 467 hours ago. Who was on trial? Prison Cell takes the civil book law in his hands. There he finds no answer. A former employee from a potato skin factory. This employee required an additional payment of the wage from his stingy employer. Many foreign know that in Emoji Meaning misers from the Jupiter are in the majority. Better said, most inhabitants have Jupiter's roots. That's why stinginess is very popularly in this town. This leads to too many conflicts above all comparatively between employees and employers. Traditionally employers from the Jupiter are exceptionally stingy. So the poverty rises in Emoji Meaning rapidly. Do you have really so many complaints against the stingy employers? Prison Cell: Yes, many Emojis have enough of stingy terms of employment in Emoji Meaning. But even the urban government is known for its stinginess. They stick in the law of the thrift. Even if this is not necessary any more. Finally, Emoji Meaning also receives regularly money from the national bank like any other town. In my career I also experienced a former employee of the city administration. He received nearly 19 percent less wage from the town. Later the town had to pay to the former employee wage additional payments by the height of 12489 Bitcoins. And there is it in each case about wage additional payments? Prison Cell looks in the labour law whether he could connect the book with the Internet. Then several sensible sentences fall from his mouth on the ground. Often. This deals with the fact that the employers promise higher and higher profit to the stockholders in the general assemblies. They sign even juridical binding least dividend. Thus they protect to themselves the sales of the other shares. Finally, stingy investors exactly want to know, how much they will absolutely earn. They come even with their pocket calculators to the general assembly. I myself was present in such event. Besides, the uppermost director of the company presented his strategy: He wanted to do more trainees. The trainees receive at most 20 Bitcoins per month. The stingy employer thereby saves of course juridical seen legally. With this director of the company it concerned a qualified lawyer. In this case employees would have to win no chance the process. But most directors of the company have studied above all economy in Emoji Meaning or Jupiter. These enterprises more often have this problem with the wage additional payments. You have said that most directors of the company are above all former economic students. Then most employees have to win good chances the process. Are the employees mostly the winners? Prison Cell looks at empty sheet: I do not know this, we lead no statistics about the results in the court. The costs for statistics were stroked from the budget still 45125 days ago. At that time I did not live at all. Most employees who complain against their employers hardly have money to the survival. Or if most employees are just to make up for stinginess with the employer's broad. Which of these statements applies? Prison Cell throws the civil law book on the ground: Both statements agree more or less. On the one hand the stinginess of the employers grows till the infinite, on the other hand, also there rises the stinginess of the employees. I must admit that it is sometimes about trivia. A miser wanted not to pay extra 5 Bitcoins. So both parties argued nearly 8 hours. At the end, I told them that they too long were arguing because of this amount. In 8 hours they would have earned anyway much more money. In the worst case the miser would already have earned at least 50 or even 5000 Bitcoins according to situation. At the end the miser noticed that he really wasted his valuable time for 5 Bitcoins. Thus he took several small coins and handed over. However, then he required one hour of memorial service to his defeat with this court procedure. We wanted to settle for that, however, a surcharge for our additional work. Then the miser renounced the memorial service in the courtroom. Later the miser mourned his 5 Bitcoins before the entrance to the court. At that time even the process winner donated to the miser his compassion. From which branches do the employees complain? Prison Cell: Most employees come from the building trade, guest trade, hairdressers, agriculture and factories. In the last time I observe an increase also from the following branches: Banks, assurances and estate agents. Many estate agents receive too deep commission for the mediation of the suitable immovable. Strangely, urban officials disappeared during the last 4478 days. Do you have an explanation of it? Prison Cell: It is noteworthy that the cases from the urban management disappeared at the moment completely when the procurator of the employee's association left "officials of Emoji Meaning" 4490 days ago for health reasons the place. Before he was with us the most famous process leader. I went even drink pear juice in the restaurant with him. Besides, of course we discussed business subjects. He was a very active representative. At that time even the local banks specially had to print money for his clients. This happened because the city Emoji Meaning very often lost the process. How was it for you to decide against own town? To decide against Emoji Meaning, was generally disagreeable in my heart. But I made my work according to the law. Nevertheless, in these law books it is written quite clear that with the wages the whole living should be paid easily. I showed this law to all future losers in the court process. They had to accept the decision anyway. Otherwise they pay at least 12967 Bitcoins to the next court. That's why most misers accepted the court decision. Also the city administration of Emoji Meaning had to pay extra the wages. Thus it is according to the law. So I felt in spite of all as a fair judge. A judge who decides for the purposes of the legal system of the kingdom Emoji. Prison Cell: Most complaints concern of course the money in any form. Here, finally, we are in Emoji Meaning. Often there are complaints because of the rent notice. Many stingy renters give notice to the tenants because they want to raise the value of their immovable massively. Then the renters also require nearly 24 percent higher rents. Some tenants preserved from her renters simply a groundless rent rise. Many tenants must decide whether they leave the flat or accept a rent rise already for the next month. A plaintiff wanted once a compensation of lost holidays. So I think with the fact that he wanted to make up for the holidays because of his illness. His employer refused. The employer argued that he hardly had employee at this time. Now there comes a question from curiosity of every reader. How high are the average amounts? The average dispute has risen during the last days on nearly 14444 Bitcoins. How could one fight against the wage dumping better in Emoji Meaning? Prison Cell: This is especially difficult because the government is very stingy in Emoji Meaning. A lot of uppermost officials of the city administration profit themselves from active wage dumping. They represent an opinion which should fill their stinginess further incessantly. Some time ago thus came several extraterrestrials from the Venus. They worked with a farmer for 0.30 Bitcoins per hour. This was discovered only by an attentive Emoji. This Emoji wanted to buy several cucumbers with this farmer. This farmer sold the cucumbers for banked prices. At the same time this Emoji noticed several extraterrestrials from the Venus. This Emoji had even a friend from this planet. He decided to go with his friend to the extraterrestrials from the Venus. They spoke in their mother tongue. This Emoji thereby got to know from the wage dumping of the farmer. Interestingly the brother of the farmer was a high-ranking official in the city administration of Emoji Meaning. At the beginning this Emoji consulted me. I said that with laws should be complied anyway. No matter whether somebody has his brother in the city administration. This stands also in the law book in such a way. Every inhabitant of the kingdom Emoji is treated as equal before the law. There are no exceptions because of professional position. Also all parliamentarians and even the king are treated as equal to 99.99 percent to the average citizens. Though the purchase on lawyers and policemen exists in Emoji in general, but there are also detectives. Detectives work for the kingdom. Their direct employer is the kingdom. They work at the expenses of the national bank. Thus every inhabitant can undertake something against juridical or police power. In my long-standing activity as a judge, misers tried to bribe me. They often brought phoney bank notes from the Jupiter. Luckily this made easier to me even the work. Thus I could immediately accuse these misers of tried bribery. There is another law. Against what do stingy employers complain? Prison Cell: Most employers complain against unproductive employees. They argue with the fact that they earn because of such employees clearly less. At the same time they cannot dismiss these employees. The reason for that is an above all inadequate interest in these jobs on the part of other applicants. This concerns above all budgetary operations. Also with the care of children many employees are too decayed. Which results does the big update of all computers of the court have for your work? Prison Cell: We had very big trouble during the first 77 days. The processes have become costlier. We must drink much more water during the work. But also many toilet visits have become the normality of our everyday life. court employee must interrupt his meeting all 55 minutes. This is irritating of course. Finally, we must remove our toilet visits from the working hours. This costs a lawyer on an average to nearly 30 percent of his wage. And if you had to proclaim a judgment, was it accepted in each case? Of course the losing party had always big trouble with my decisions. This is also natural. But I also had to persuade the losers of the fact that my decision corresponded anyway to the legal regulations. Thus the losers had to accept, nevertheless, my decision. My judgments sometimes were also pulled further. How did the court participants react after the pronouncing of judgement? could prepare. Before I said that, for example, the miser had to pay 200 Bitcoins to his former employee, I explained the suitable laws for everybody easy-understandably. Moreover, I went to both sides and said, that according to this law it should be made. Later most forthcoming losers felt a little bit made easier. They knew that the process was finished now with this decision. Who was not contented with my decisions, might go of course to the uppermost court of the country. But most uppermost courts also go to the similar direction like me. Finally, we work everybody with the same law books. This plays no role whether somebody complains at the local court or the uppermost court. What did you like in your work as a judge? Prison Cell: I have written with pleasure judgments. Even rather, however, I have carried on negotiations and comparative talks. I found these talks particularly interesting when both sides were represented by certified lawyers. This gave big pleasure to me. Both lawyers always referred to good laws. In some cases it would have come almost undecided between both sides. At the end several trainees from the university had to search in such cases the laws. And a decision succeeded in favor of a side. Such cases also belonged to my duties. 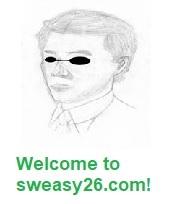 Sweasy26 thanked Prison Cell for the detailed and very interesting interview to the work as a judge of Emoji Meaning.